SAN FRANCISCO — Kimochi Home’s 30th anniversary will be celebrated on Saturday, May 18, from 12:30 to 3:30 p.m. (doors open at 11:30 a.m.) at the Sundance Kabuki Cinemas, 1881 Post St. in San Francisco Japantown. The celebration, whose theme is “New Beginnings,” will feature Masayuki Koga and Tim Hamano on shakuhachi; Shirley Muramoto and Brian Mitsuhiro Wong on koto; Yoshiko Fujimoto Sensei and the Kimochi Odori Class; the Japantown Jazz Ensemble with George Yoshida; and “The Most Beautiful Girl,” a story told with dance and music by Brenda Wong Aoki, Mark Izu, Kai Kane Aoki Izu, and Isa Munsi. 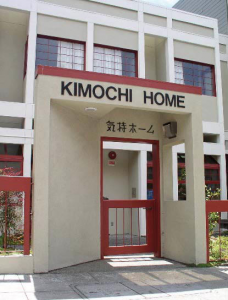 Established in 1983 and located at Sutter and Octavia in Japantown, Kimochi Home is a senior- friendly facility of Kimochi Inc., a non-profit organization providing a continuum of care for seniors since 1971. The Kimochi Home residential/respite care program has the capacity to accommodate up to 20 ambulatory seniors in either private or semi-private rooms. Experienced, compassionate staff provide assistance with activities of daily living such as bathing, dressing and taking medications. The intimate environment allows for individualized attention and greater personal relationships while encouraging independence. Residents can also participate in the on-site adult social day care activities. The respite care program is temporary, short term, 24-hour supervised care for seniors. This service is available for families in need of backup care for an elderly member, especially during periods of caregiver burnout and stress or when a senior member is unable to travel with the family. The program is also an option for seniors who are being discharged from the hospital or who have recently been ill and need a temporary place to stay until they feel healthy enough to return home. Event sponsors include Pacific Gas & Electric Co., Sutter Health/California Pacific Medical Center, AT&T, Union Bank, Mary Ishisaki, Flanagan Family Foundation, Sundance Kabuki Cinemas, and AsianWeek Foundation. Admission is free but seating is limited. Call (415) 931-2294 to RSVP. For more information on Kimochi’s programs and services, visit www.kimochi-inc.org.